THE HYPE SURROUNDING bitcoin may have lessened somewhat in the last few months, but more companies are adopting the digital currency as a way of paying for goods. The latest company to get in on the action is Microsoft, which is now allowing users to pay for apps, games, music and videos using the cryptocurrency. The move is due to a partnership Microsoft has with bitcoin processor BitPay and allows US users to purchase from the Windows, Windows Phone, Xbox Games, Xbox Music and Xbox Video stores. 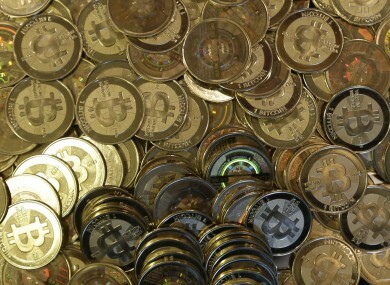 It makes it one of the first major tech companies to fully support bitcoin as a currency. Although there are some caveats. For one, you can only use bitcoin to add money to your Microsoft account – $100 at a time – before you can purchase something digitally. At the moment, you can’t purchase goods using bitcoin directly although it’s implied that this may change sometime in the future. Also, money transferred to your Microsoft account using bitcoin cannot be refunded, and it’s limited to just digital goods instead of physical. Earlier this year, Microsoft introduced a bitcoin currency converter to Bing, while the price of one bitcoin is €287. Email “The first major tech company to accept Bitcoin payments isn't Google or Apple”. Feedback on “The first major tech company to accept Bitcoin payments isn't Google or Apple”.